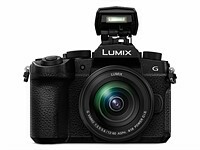 Panasonic says the G95 (or G90/G91, depending on where you live) sits beneath the G9 but doesn't replace the the G85/G80. It's certainly a step up from the G85, with more buttons, a larger body, the addition of a headphone socket and $200 price hike all pointing toward greater ambition. 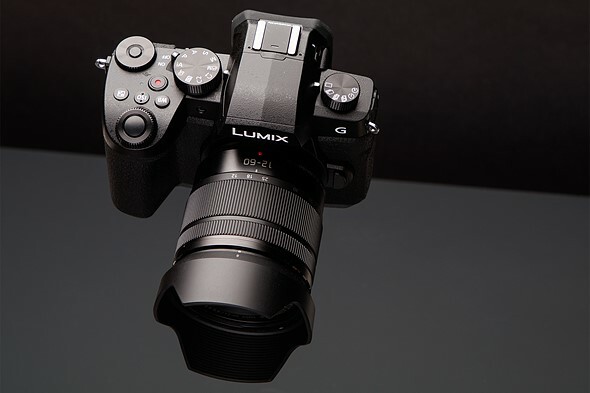 However, placing it alongside the G85, it's difficult to imagine anybody being certain that only one of these cameras is meant for them, so despite Panasonic's claims, we suspect the G85 will be quietly withdrawn once the existing stock runs out. As well as the additional control points, the G95 gains a ridged cover to its small pop-up flash: a design cue borrowed from the G9. 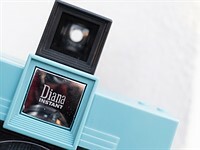 On the stills side of things, it has a 20MP sensor, similar shooting rates to the G85 and a buffer that will fill up sooner, as a result of the larger files. Panasonic's pitch is that it's as much a video tool as a stills camera and the specs make that look like it's the case: it's the first camera in the main 'G' series to be offered with V-LogL capture (and without having to pay extra for it, as GH4 and GH5 buyers had to). Sadly, the reality doesn't fully live up to this: a substantial crop significantly undermines its usability. 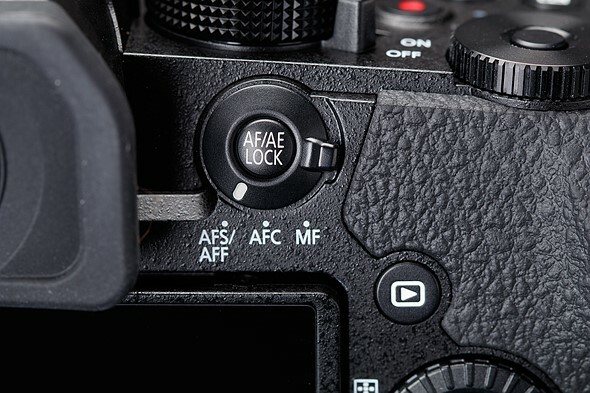 Given that the G9 can shoot oversampled 4K footage from the full width of its sensor, we have to conclude that the video crop and the lack of '6K Photo' modes is simply down to a lack of processing power. 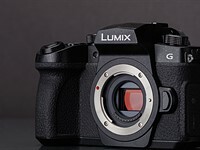 The G95 gains an updated version of Panasonic's Depth from Defocus focus system, with some of the developments used in the G9. As well as developing a higher-resolution depth-map, the camera tries to interpret the subject movement that it's seen, so that it can try to predict future movement, both in terms of distance and of moving around the scene. The G95 doesn't have as powerful a processor as the G9, though, and no promises were made about matching its bigger brother's performance. The G95 includes a 'Live View Composite' mode that combines a series of frames to build up an image, only adding to the bright part of the images to prevent over-exposure, and letting you assess the exposure as it builds up. In LC mode (accessed from Manual exposure mode by scrolling beyond the slowest shutter speed), you can choose update increments that vary from 1/2 a second to 60 seconds. 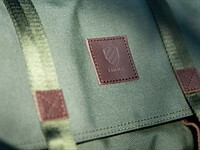 The mode saves both a JPEG and the composited Raw. 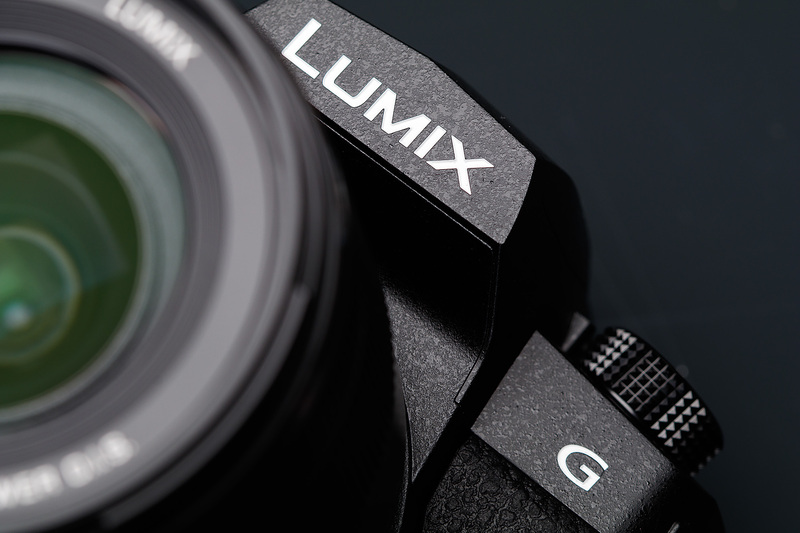 The G95 includes Panasonic's 4K Photo modes that use its video stream to capture bursts of images at up to 30 frames per second. As usual this includes the option to pre-buffer footage such that you end up capturing the images just before you make a full press. The G95 has an 'Auto Marking' feature to identify the significant moments in the footage you've captured: to make it easier to pin-down the best frames. It also has the Sequence Composition mode that lets you combine the moving element of multiple frames into a single composite image. In addition there are Post Focus and Focus Stacking modes that shoot a sequence of video with the focus at different depths, then let you either pick the frame focused where you wanted, or combining the in-focus regions to generate images with greater depth-of-field. All these modes are derived from video. This doesn't mean they have to be 16:9 but it does mean they're taken from a fairly significant crop of the sensor. 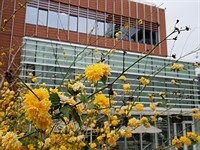 This makes it more difficult to shoot at wide-angle and lowers the image quality. The Panasonic G95 (left) next to the G85. 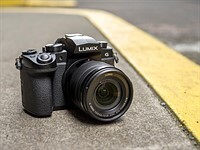 The G95's price and feature set put it squarely into competition with Sony's a6400 and Fujifilm's X-T30. On paper they all look pretty similar: 20-26MP cameras, all capable of 4K capture, trying to act as photo/video all-rounders. But the closer you look at the cameras and their performance, the more different they start to look. What the table can't really show is how different the control systems of the three cameras are: the Fujifilm has dedicated dials for shutter speed, exposure comp (and will mainly be used with lenses that have aperture rings), as well as twin command dials, the Sony has two command dials but in positions that mean both have to be operated with your thumb, while the Panasonic strikes a middle-ground with a front-and-rear command dial approach. This makes them very different cameras to shoot with. Digging into the video performance, in terms of crop and rolling shutter, again the three cameras are far more different than the spec sheets imply. The G95 takes its video footage from a significant 1.25x additional crop, making it hard to shoot wide-angle footage (the 12mm end of the kit zoom ends up nearer 30mm equiv. ), but rolling shutter is well-controlled. By comparison, the a6400 leaves you having to choose between a crop in 30p and exhibiting even more significant rolling shutter if you shoot 24p, making the X-T30 look like the strongest video camera.